A client from Los Gatos was referred to California Car Sounds and Tint in Campbell by a friend. He decided to drop by the store and ask about what we could do to improve the performance of his 2015 Jeep Wrangler factory sound system. We showed the client several options for source units, speakers and amplifiers and let him audition them in our showroom. 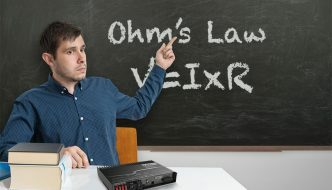 He liked our plan and gave us the go-ahead to install the new system. We started with an Alpine X009-WRA Restyle source unit package from Alpine. This solution replaces the factory radio with a 9-inch source unit integrated into a new dash bezel. 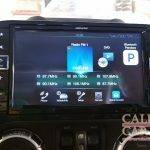 The system includes navigation, Bluetooth, USB and integration with the vehicle’s information display system. 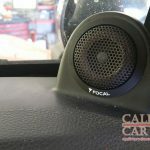 We used a Focal FDP4.600 to power a set of Focal PS165F components in the dash and a Focal FDP600.1 to power a JL Audio Stealthbox. 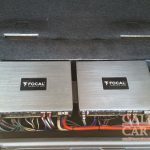 Our team mounted the amplifiers in the small storage well at the rear of the trunk. The client loved the new source unit and was blown away by the sound of the new speakers. If you are looking for a sound system upgrade for your Jeep, drop into our store or contact us by using our contact form to send us an e-mail.